Last weekend, Nicki Minaj flew 6,000 miles to perform at DWP China Festival in Shanghai. She was scheduled to deliver a 90-minute set at the National Exhibition and Convention Center in exchange for a hefty $3 million paycheck. The only problem? The event appears to have been a scam. According to reports from Shanghaist and Time Out Shanghai, just days before Minaj was set to land in China, the festival’s website posted a statement essentially severing ties with the DWP brand name. For more than a decade now, Indonesia-based company DWP has been responsible for the DWP Festival (Djakarta Warehouse Project) in Bali. 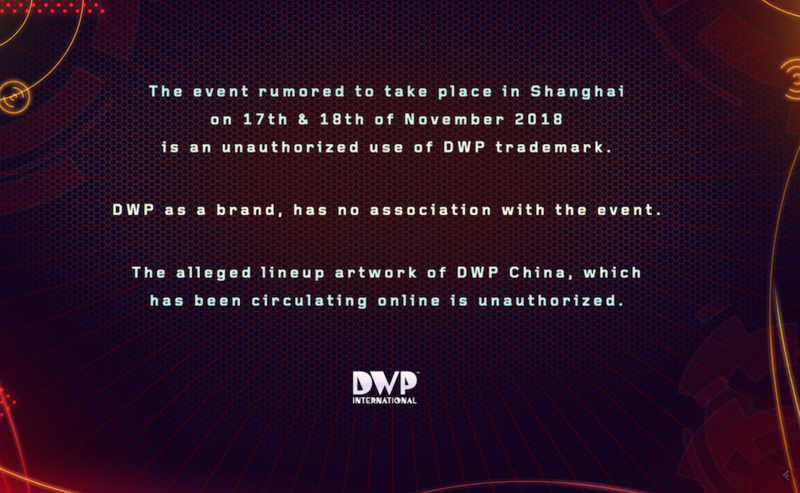 “The event rumored to take place in Shanghai on 17th & 18th of November 2018 is an unauthorized use of DWP trademark,” the updated website read. 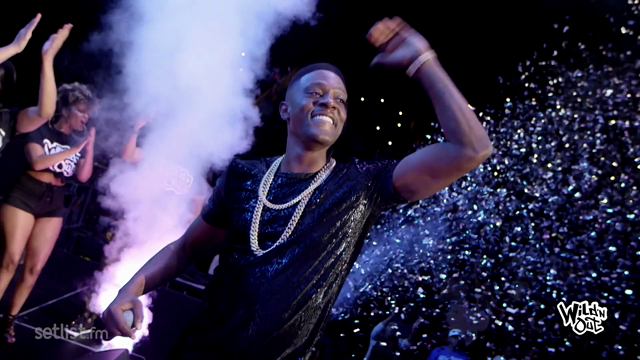 “DWP as a brand, has no association with the event. The alleged lineup artwork of DWP China, which has been circulating online is unauthorized.” The allegedly false lineup poster, seen below, also boasted big names like DJ Snake and Luis Fonsi of “Despacito” fame. But that’s not where the mystery and confusion end. Shortly after this website update, on Saturday — the first official day of the festival — DWP China Festival organizers responded with a statement of their own insisting that they were, indeed, a legitimate festival and sanctioned by parent company DWP. On its Weibo social media account, DWP China even offered up a “power of attorney” document as proof of its official DWP affiliation status. Attendees were told the set cancellation was due to sound issues and problems with Minaj’s voice. “We waited for over two hours after the last act and they told us she had problems with her voice, so she wasn’t gonna perform,” one festival-goer told Time Out Shanghai. Minaj never issued a public explanation for axing her performance, but its likely the whole confusing mess was enough to turn her off. That didn’t stop DWP China organizers from issuing a statement placing all the blame on the rapper, however. “We strongly condemn this behavior,” the statement read, “and would like to sincerely apologize to our audience.” DWP China promised to fully refund all full-price tickets. It’s not clear whether Minaj was still paid her $3 million, but it sounds like in the end, the fans were the ones who were dealt the worst hand here. DWP CHINA took place in 1H at National Exhibition and Convention Center on Nov. 18, 2018. During the performance, guest performer Nicki Minaj couldn’t arrive on time, as a result, the show was delayed considerably. After Ms. Minaj’s arrival, despite fans’ requests and event organisers’ two-hour negotiations, Ms. Minaj refused to perform without providing a plausible reason. Eventually, her manager went on stage and declared unilaterally the premature end of the whole performance. We strongly criticise their behaviour and we would like to apologise to our audience. The event organiser has therefore decided that all full-price tickets bought through official channels (Damai APP, Damai web, Maoyan APP, 247tickets and Yongle tickets) will be fully refunded. Attendees should keep the physical ticket and the proof of purchase including their name, ID number, phone number and booking number. Address them to the relevant ticketing platform and the postage fee will be borne by the receiver. The fund will be returned to the account used for purchasing if the purchase proof meets the refund condition. The refund will be processed between Nov 26 and Nov 28, between 10am and 5pm. Our sincere apology to everyone who came to watch the performance!